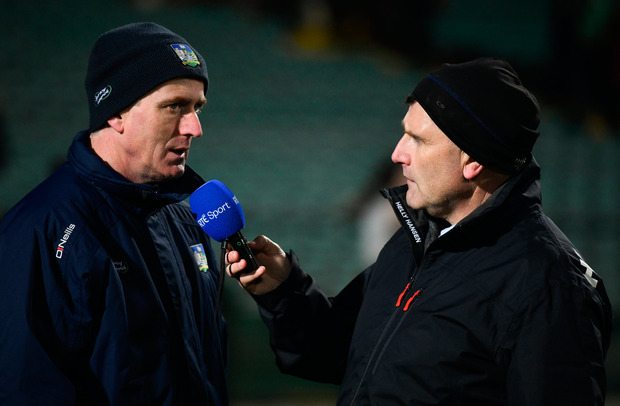 Given the array of snags Limerick's seemingly never-ending quest to get out of Division 1B has hit over the past seven years, it was only natural that John Kiely approached Saturday's visit of Dublin to the Gaelic Grounds with extreme caution. "We were expecting a good, strong challenge from them," he confirmed after a 12-point win that never forced his team towards the extremity of their abilities and put them a step closer to what looks now like being a straight promotion shoot-out with Galway in Salthill on March 5. "I felt it was going to be a much tighter game, that it was going to go down to the last 10 or 15 minutes. It didn't pan out that way," he said. Limerick had already begun to demonstrate their superiority by the time Alan Nolan, left exposed by his defence and the pace of Seamus Flanagan, fouled Barry Murphy for a 24th-minute penalty, masterfully dispatched by Aaron Gillane. That pretty much ended the contest. "We were efficient in the first half," Kiely said, all lines of praise written to his own team coming with the asterisks of Dublin's performance alongside. "We put a bit of distance between us and then we were able to keep them at arm's length for most of the second half. So the result was decided early on." If there was a positive for Pat Gilroy to extract from the evening - apart from Danny Sutcliffe's performance - it was that he was immediately able to diagnose his team's ailments afterwards. "The second half of the first half, we completely dropped off in our intensity. And when we do that, we're very vulnerable," he explained. "We're certainly not getting the performances in the games in terms of the effort that's going into training. "We've got to look at that and see why are we dropping off in those periods. Because when we drop off, we really get hurt. "The one positive for us was you could have folded the tent at half-time when you were that far behind. "We lost the second half by two points so we showed a bit of spirit to keep going at it when a lot of things weren't going our way. "But," Gilroy stressed, "we know the root cause of this. The root cause of this is once we drop off our intensity around the middle third, we're very vulnerable. If we don't get that, we're not going to win games." Such is the inclusive structure of this competition, however, Gilroy's team are still more likely to end up in a League quarter-final than a relegation play-off, even if they are visibly some way shy of being competitive with any of the 1A teams. Limerick were utterly superior on the night. For all Dublin's good intentions of graft and aggression, Kiely's team moved the ball too quickly, too intelligently - both long and short - for it to have any containing affect. 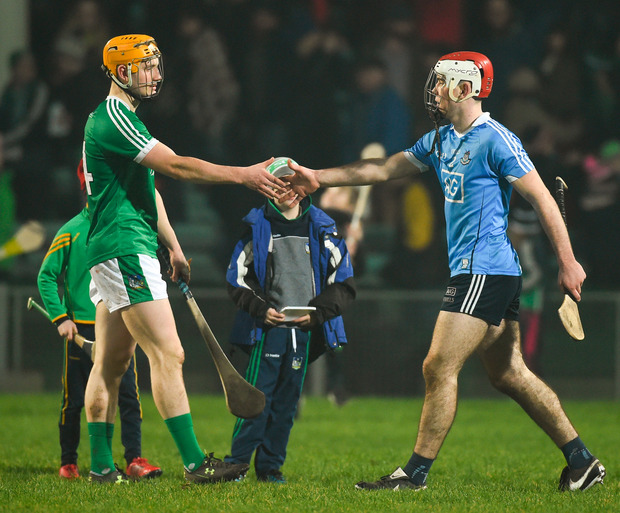 Gillane, the star of last year's All-Ireland winning U-21 team, posted 1-9 (0-7fs) in his 48 minutes of involvement. And in his first action of the season, captain Declan Hannon brought experience and assurance to the heart of the defence. "Delighted to get Declan back into the team," Kiely confirmed. "It gives you that sense of control. You're always very secure when you know Declan's in there." Before the Salthill showdown, they'll travel to Antrim, already bereft of their Na Piarsaigh men and freshly shorn of nine men who will play for UL in Saturday's Fitzgibbon Cup final. "Listen, you deal with it. It's not ideal," Kiely shrugged. "We're going up on Saturday, so we won't have those players available to us. "They have a final of a major tournament on Saturday, so I don't expect them to travel to Antrim on Saturday evening for a match on Sunday. "It's going to be a great test of the depth in our panel and the character in our panel. "I know the boys will rise to that challenge. But it will be tough. We just have to get on with it." SCORERS - Limerick: A Gillane 1-9 (0-7fs), T Morrissey, D Reidy (1f) 0-4 each, D Byrnes 0-3 (1f), G Hegarty, S Flanagan 0-2 each, P Ryan, B O'Connell 0-1 each. Dublin: D Burke 0-6fs, D Sutcliffe 0-5, C Keaney 0-2, F Whitely, C Boland, E O'Donnell, F McGibb 0-1 each. 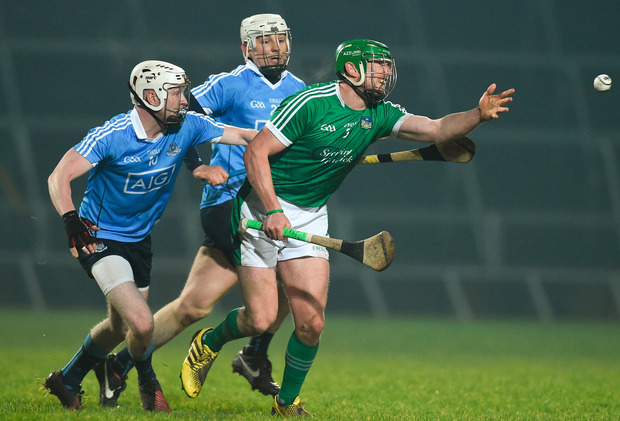 LIMERICK - N Quaid 7; S Finn 7, S Hickey 6, R English 6; D Byrnes 8, D Hannon 8, D Morrissey 8; P Browne 6, C Lynch 7; G Hegarty 7, T Morrissey 8, D Reidy 8; A Gillane 8, S Flanagan 7, B Murphy 6. Subs: P Ryan 7 for Gillane (48), O O'Reilly 6 for Murphy (54), B O'Donnell 6 for Hegarty (57), R McCarthy 6 for Hickey (66). 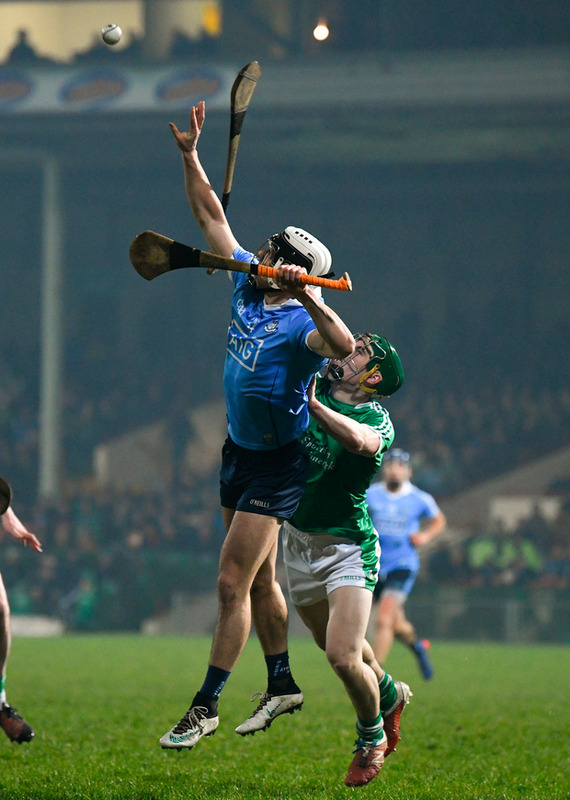 DUBLIN - A Nolan 7; P Smyth 5, E O'Donnell 7, B O'Carroll 5; T Connolly 5, C Crummey 7, S Barrett 5; C McBride 6, N McMorrow 5; F McGibb 6, C Keaney 6, D Sutcliffe 7; F Whitely 6, C Boland 5, D Burke 5. Subs: C Costello 5 for McBride (24), D Kelly 6 for O'Carroll (h-t), R Hayes 5 for McMorrow (h-t), L Rushe 6 for Boland (h-t), J Madden 6 for Connolly (70).